Homoeopathy, Support after traumatic birth, Breast Feeding counsellor, VBAC Information, diet and nutrition. Certified GAPS Practitioner. Placenta Remedies Specialist. Homeopath making homeopathic remedies for women from their placenta, umbilical cord, vernix and breastmilk. Since childhood I have wanted to work with birthing women. It took the birth of my first child to really start teaching me about the needs of birthing women. My first baby was born by caesarean section, the second, at home under water, and my 3rd and 4th on dry land, at home. I believe that birth is a normal process. Whilst there is a place for medical interventions, most women, with loving support and care are able to give birth to their babies without them. Enabling women to make informed choices leaves them with a great sense of achievement. I offer a debriefing session both for Women who have already given birth, and for first time Mum’s to help overcome any fears or anxieties. I work within one hours driving range of Chichester. So far this has included Windsor, Farnham and Lewes. 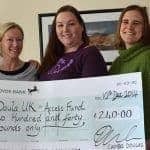 My Doula package is as follows: I make at least two visits before the birth, to get to know you and your partner, and to ensure that I know what your plans and requirements will be for your labour. 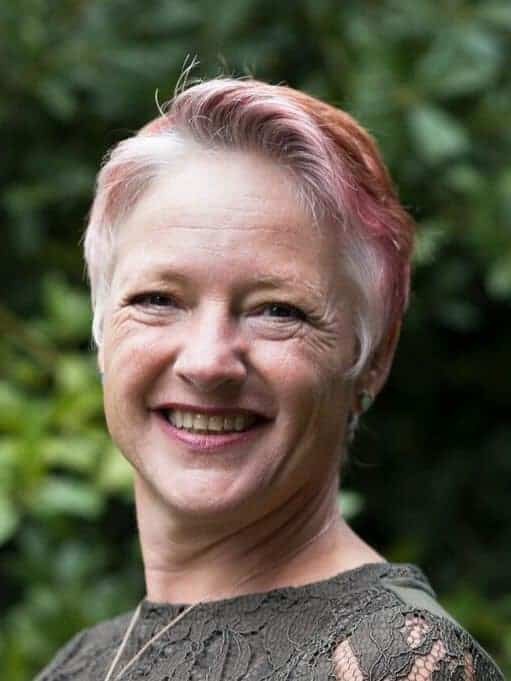 My role is flexible to meet your needs, for example, we can look at Optimal Foetal Positioning, your diet, draft a birth plan, whatever you need to have the best possible birth experience. I am available for you, 24 hours a day, seven days a week for two weeks either side of your due date (this can be varied) so that you can call me as soon as you are in labour. I stay with you, gently encouraging and nurturing you throughout your labour. I will remain with you for about two hours after the birth, to ensure that you are comfortable and settled with your new baby. I also support your partner, enabling him to take as full and rewarding a role as needed. We work as a team. This frees you from worrying about your partner during your labour. In a way, I am a non-judgmental Mother, sister and best friend, all rolled into one for you! If you are at home, I will help with light housework, to tidy up and clear away so that you can relax and enjoy your baby. After your baby has been born, I will make 2 follow up visits, to debrief your birth, help out in your home with baby care, light housework, and to be a listening ear. I often bring a nourishing home made soup and cake too! From when you book me, to six weeks after the birth, I am available by telephone and email for support. I am a La Leche League Leader, so can help with breast feeding support. I am a qualified Homoeopath, offering the additional benefit of Homoeopathic treatment during and after your labour, should you want homoeopathic treatment. I have studied Buteyko Breathing, and use this method to help women breathe in a way that enables them to relax and welcome the surges of contractions. I also share “The Pink Kit, Birthing Better” with clients. I regularly attend study days on Birth and related subjects, this has included Hypnobirthing and Memories of Birth. I am a Placenta Encapsulation and Placenta Remedies Specialist. As a homoeopath I make homoeopathic remedies from placenta and breast milk. I have trained in Spinning Babies techniques with Gail Tully, participated in many workshops, including some led by inspirational people such as Mary Cronk, Ina May Gaskin and Binnie Dansby.